Vanderbilt University Medical Center has been selected by the Centers for Disease Control and Prevention (CDC), to lead a consortium of top national experts in vaccine safety in performing timely reviews of adverse vaccine events. 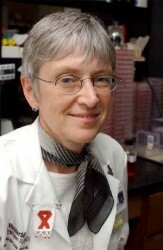 Kathryn Edwards, M.D., Sarah H. Sell and Cornelius Vanderbilt Chair in Pediatrics and director of the Vanderbilt Vaccine Research Program (VVRP), serves as the principal investigator of the vaccine safety evaluation component of the CDC’s Clinical Immunization Safety Assessment (CISA) Project. The contract to serve as the coordinating center will provide between $3 million and $5 million in funding for Vanderbilt to do this work over the next 10 years. Buddy Creech, M.D., MPH, assistant professor of Pediatric Infectious Diseases and associate director of the VVRP, will lead many of the day-to-day operations of the CISA coordinating center. He said the timing of this project is critical. “Vaccine hesitancy and fear of potential vaccine side effects is at an all-time high. Some 15 percent of parents are concerned enough to adopt alternative vaccine schedules for their children despite recent outbreaks. We need to restore public confidence in the safety of our vaccines and this is one way to do it,” Creech said. As the CISA Coordinating Center, Vanderbilt will be alerted by the CDC when an adverse event occurs and will set up a coordinated review of the cases and evidence with its partners. The core teams of experts who will work to review adverse events come from Johns Hopkins University, Duke Clinical Research Institute and Columbia University, with additional project participation from Boston Medical Center, Cincinnati Children’s Hospital and Kaiser Permanente Northern California hospital systems. In a recent example of CISA’s work, the project responded to a small Canadian publication that seemed to link the human papilloma virus (HPV) vaccine with the deaths of two girls from inflammation of the brain vessels. Vanderbilt coordinated the CISA team to compile and review the latest evidence and information to address that particular concern. The CDC was then able to quickly share that information in the form of talking points for doctors. While Vanderbilt has previously participated in the CISA project, this is the first time any academic medical center has been asked to lead the clinical vaccine safety evaluation component. “For 40 years, Vanderbilt has been recognized as a leader in vaccinology that encompasses clinical trials and assessment of vaccine safety. This really operationalizes that and puts us at the forefront in leading efforts to ensure vaccine safety and to communicate that to the public in a very effective way,” Creech said. The Vanderbilt CISA Leadership Core includes Elizabeth Williams, M.D., senior fellow in Vaccinology and Vaccine Safety, whose work in vaccine hesitancy and vaccine safety has been lauded by national leaders in vaccine safety, and Debbie Hunter, RN, the nurse coordinator for CISA projects. 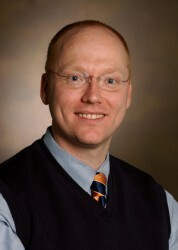 The Vanderbilt CISA team also includes subject matter experts in vaccine safety, including Isaac Thomsen, M.D., instructor in Pediatric Infectious Diseases, Kimberly Fortner, M.D., Maternal-Fetal Medicine, Peter Donofrio, M.D., professor of Neurology, Tyler Reimschisel, M.D., assistant professor of Pediatric Neurology and director of Developmental Medicine, and Donna Hummel, M.D., associate professor of Pediatrics, Allergy, Immunology and Rheumatology.